Adel al-Jubeir told the US television program on Sunday that the October 2 slaying of the journalist inside the Saudi consulate in Turkey was "a massive tragedy" and denied that it was sanctioned by Saudi Arabia's leadership. ] US intelligence agencies found the killing would almost certainly need the approval of the kingdom's de facto ruler, Crown Prince Mohammed bin Salman (MBS). In December US senators backed a measure accusing MBS or ordering Khashoggi's murder. "The crown prince had nothing to do with this," Jubeir said. "There was no order given to murder Jamal Khashoggi and the whole country was shocked by this.
" It was a mistake. It was committed by officials of the Saudi government acting outside their scope of authority. The king ordered an investigation, "Jubeir. Eleven suspects have been indicted and referred to trial in Saudi Arabia with five against the death penalty. The proceedings have not been public. 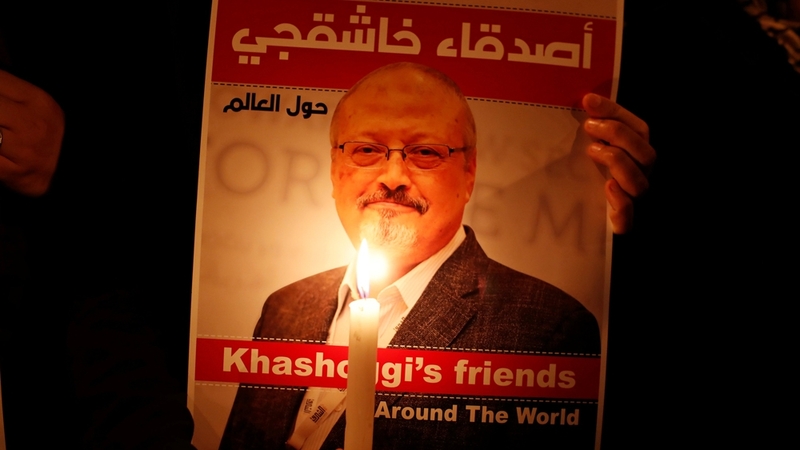 Agnes Callamard, the UN special rapporteur on extra-judicial executions, carried out a week-long inquiry in Turkey into the Khashoggi killing and concluded in preliminary findings it was "a brutal and premeditated killing, planned and perpetrated by officials of the state of Saudi Arabia "
She has asked for access to Saudi Arabia and expressed "major concerns" about the fairness of proceedings for the trial in the kingdom of Khashoggi's murder. "The UN rapporteur that you talked to is not engaged in a investigation, "Jubeir said.
" She is doing this on her own, in her capacity as rapporteur of human rights, and she went to Turkey and she came back and issued opinions that are her own, these are not United Nations' opinions, he said. "We have done the right thing. We acknowledged that this happened, we acknowledged that these were officials of the Saudi government, we acknowledged that they had authority to do this and we jailed them and now we're putting them on trial, "he said. The journalist was dismembered inside the consulate. Khashoggi's remains have not been located. Asked where Khashoggi's body is, J ubeir said "we don't know"
He said they have asked the suspects, that there are "a number of possibilities" and "this investigation is ongoing". "I would expect that we would find the truth."